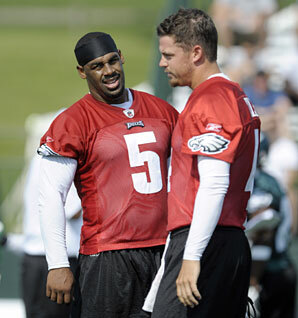 McNabb or Kolb was founded in 2010, when those two quarterbacks actually mattered in Philadelphia. It continues on, though, providing news, analysis, statistics, and opinion to Eagles fans from Broad Street to Bangladesh. And there are no plans to change the name. Brian Solomon was a full-time reporter for Forbes Magazine, but he couldn’t help but also write about the Eagles. Brian founded McNabb or Kolb back in the glorious offseason of 2010 when debate swirled around those two eponymous quarterbacks. He was also the editor and publisher of the Eagles Almanac. Brian previously contributed to NBC Philadelphia. You can follow him on Twitter at @Brian_Solomon.